Have you ever felt the feeling that somehow you have been left behind by time and all your contemporaries have reached their goals and have become successful in their field? Well, in terms of blogging, that's exactly how I've been feeling. I mean, if I look around me (that is, world-wide-web speaking) girls who stemmed from blogging or Youtube-ing are being featured on the magazines, partnered with prestigious brands, or simply have established a brand name of their own. Truly, society has changed and the blogging world has influenced the lifestyle of these technology-obsessed people. I for one, can't help thinking what did I do wrong? What have I been doing all my life, to be left behind in this fast-paced kind of world? 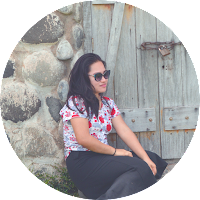 If blogging has been my dream all along, why didn't I just do it seriously from the start. All these questions started flooding my thoughts as I reflected on the things that I should have done and shouldn't have done. But in order to be more productive, as they say "Forget the past and start focusing on your future." To start off, here's a list of things I want to remind myself daily to keep my blogging life going. Hopefully, this could be a help to someone else too. Create your Creative Space. Writing is an art. And since blogging is all about writing out something, its really important keep a space conducive to writing. If you're anything like me, I prefer writing in a quiet place to keep my thoughts straight. Messy surroundings can also affect the way a mind works, so, lately, I've been trying to keep my room at least, a little bit, clutter-free. Just enough so my mind won't go sashaying to another place because I could see books, magazines, and bags laying all around me. It doesn't do any good for my concentration. Keep on Reading. Sometimes you just can't think of anything to write about. Sometimes you feel like all the creativity have been sucked out of you and not a single idea could come out. I feel you. So start reading. Flipping through magazines, reading a book about a topic that interests you, and sometimes, watching a movie or tv show or a Youtube video can help spark an idea somewhere. It works for me. In fact, Youtubers and Bloggers really inspire me to just keep doing this. Find an Inspiration. As I've already mentioned. Youtubers and Bloggers inspires me to be creative. They are those kind of people who do what they do even though no one is telling them to. They create contents for everyone to see, even though they're not sure if someone would see it or not - even though someone would hate it along the way. They take up all the courage to go out there and create interesting content regardless of what others would say. They are fearless in a way, and I like that. Being a creator is more challenging and than just being a commenter. Keep on Writing about what you Love. I think this is self-explanatory. Obviously, you can't write about cars when you don't have a single interest about cars. You can't write about cooking when all you have eaten lately were junk, instant foods. So, if you're into makeup, write about it. If you're into crafting and sewing, blog about it. If you're more interested in inspirational or spiritual topics, then share something about it. Sooner or later, writing/blogging will be a breeze. Write On. Last but not the least, just keep on blogging. Just keep on writing. In the blogging world, no one could dictate what you could write. Because, at the end of the day, it's all gonna be you and your creativity. It's going to be your choice if you publish this or that. You're on your own. The initiative to write out something stems for your own motivation. And no one else could push you to write but you. Overall, I could say that this is beginning to help me already. Because if all else fails, I could go back and do everything I said here all over again. 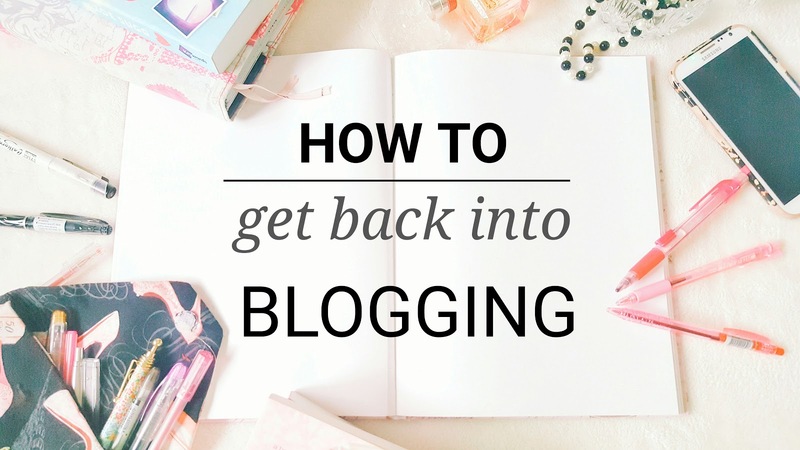 Do you have more tips on blogging that you use for yourself? If so, comment it down below so I could I consider them too!